Despite several billions of naira injected into the country’s power sector to improve electricity supply to homes and businesses, there seems to be no relief for consumers as they have continued to lament poor power supplies. Last year, the Socio-Economic Rights and Accountability Project (SERAP), disclosed that over N11 trillion meant for the provision of electricity supply was allegedly squandered by the administrations of former Presidents, Olusegun Obasanjo, Umaru Musa Yar’Adua And Goodluck Jonathan. This was as a Federal High Court in Ikoyi, Lagos, recently granted leave to SERAP to seek its reliefs to compel the Minister of Power, Works and Housing Mr. Babatunde Fashola, to account for about N900 billion power sector post privatisation spending. SERAP in a document made available to Daily Sun and signed by its Deputy Director, Mr. Timothy Adewale, said Justice C.J. Aneke, granted it leave as prayed to seek judicial review and an order of mandamus to compel Fashola over to account for the spending on the privatisation of the power sector, exact amount of post-privatisation spending on generation companies (Gencos), Distribution companies (Discos) and the Transmission Company of Nigeria (TCN) to date, and to also explain if such spending came from budgetary allocations or other sources. This and many more are just some of the issues plaguing the power sector as consumers continue to bear the brunt of an inefficient system. In all of these, there appears to be light at the end of the tunnel as the Russian State Nuclear Energy Corporation- Rosatom is already in talks with the Federal Government to generate about 4,000 mega watts of electricity from nuclear power. In a bid to diversify its energy mix, the Federal Government recently disclosed it was targeting to generate about 4,000 mega watts of electricity from nuclear capacity by the year 2025. The technical framework for a nuclear power programme has been designed as far back as 2007 to help address the rapidly increasing base load demand for electricity. Underscoring the need for Nigeria to diversify its energy mix with inclusion of nuclear energy, Fashola, said, it was imperative for the country to lay emphasis on the gains and safety of nuclear energy as in other advanced nations, adding that nuclear energy would lead to sustainable development. But as countries move towards adoption of cleaner and more sustainable energy sources, which nuclear provides, Fashola stressed Nigeria would not be left behind. He, however emphasized the need for Nigerians to be properly informed about the capacity that has been developed in the nation’s nuclear industry; stating that focus should be on information sharing as people are scared of things they don’t understand. With the World Bank raising the alarm that 70 percent of large firms in Nigeria record about 44 outages monthly, Rosatom therefore identified nuclear energy as the catalyst Nigeria needs to get industrialised, given the current underperformance of its power sector. The company said many first world countries today leveraged nuclear energy to attain their industrialised status. Vice CEO, Rosatom Central and Southern Africa Office, Mr. Ryan Collyer, at a recent interaction with journalists in Lagos said the negotiations between Rosatom and the Nigerian government for the establishment of a nuclear power plant and a nuclear science and technology centre in Nigeria have reached an advanced stage. And to show further commitment, he said the Federal Government has set up working groups towards the realisation of about 4,000 mega watts of electricity from nuclear power. He said Nigeria being a member of the International Atomic Energy Agency is already subjected to international regulation, saying local regulation have lesser role to play in the aspect of nuclear energy because the industry is a highly regulated one. 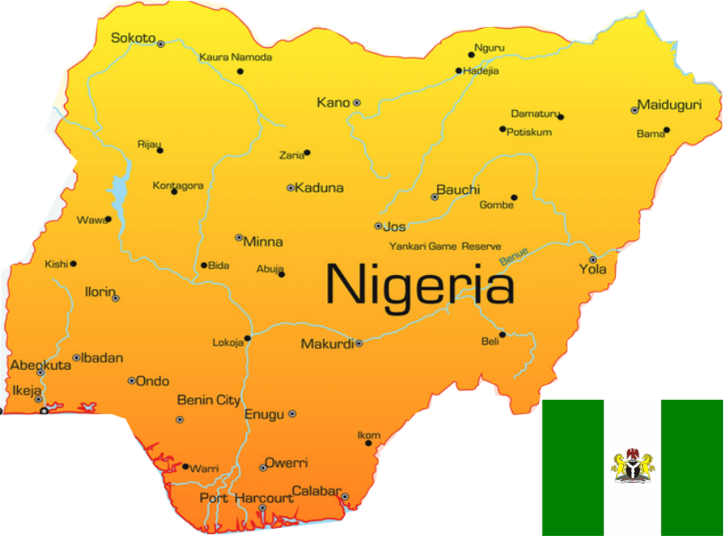 Nigeria currently relies on gas and hydro power plants for its electricity supplies. CEO, Rosatom Central and Southern Africa Office, then Vice President, Sub-Saharan Africa, Viktor Polikarpov, had said, even though the cost of constructing a nuclear power plant is quite high, the cost implications of operating them are quite low. If the cost of uranium doubles, for instance, the cost of electricity produced by nuclear will only increase marginally. This cannot be said about conventional energy sources,’’. In a bidto improve safety and security of nuclear and other radioactive materials in Nigeria, ahead of the planned inclusion of nuclear energy into the nation’s energy mix, the International Atomic Energy Agency (IAEA) recently examined the performance and operational framework of the Nigerian Nuclear Regulatory Authority (NNRA). The IAEA, it was gathered also assessed the operations of nuclear regulators in other African countries in the course of a four-day African regional coordinating meeting held recently in Abuja. According to Director, Radiological Safety, NNRA, Prof. Timothy Akpan, the major issue was the level of the regulatory framework in Nigeria, as well as in the whole of Africa.